Ole Gunnar Solskjaer has made a lot of changes since replacing Jose Mourinho at the managerial helm of Manchester United, most of which have been largely effective and beneficial for the club. From on-field tactics and game-play to off-the-field factors like the team’s dress code on away match-days, the Norwegian has surely began leaving a lasting impression on the squad as well as the club’s global fan-base. One such changes have arrived in the form of Solskjaer’s very own position in the dugout during the Red Devils’ home fixtures at Old Trafford. Ole has time and again been spotted occupying the seat furthest away from the touchline, sitting behind his substitutes, as opposed to his Portuguese predecessor, who typically sat in the first two rows of seats, closer to the touchline. 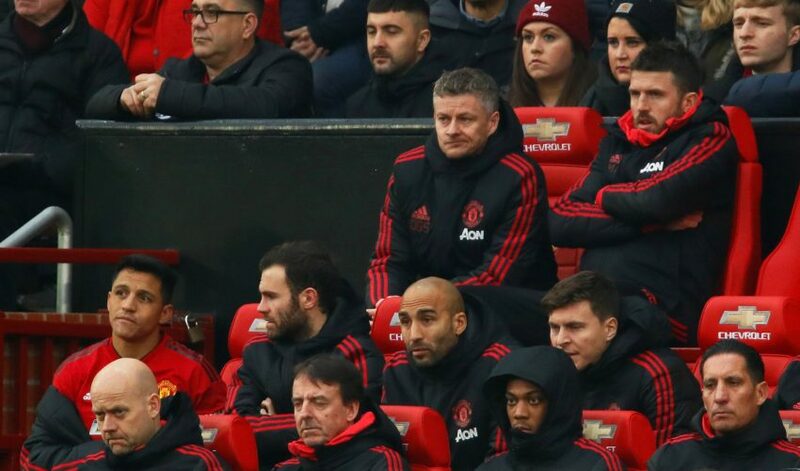 Fans have come up with several theories as to why Solskjaer prefers sitting in the last row, and many of these are quite interesting to say the least. One Reddit user posted: “I haven’t seen other managers do this. They usually are in front row seats, the manager’s being the closest to the touchline. Another user replied claiming Ole had his tactical reasons, as he suggested: “I think it’s predominantly for a better view of the game like you suggest but maybe he’s also making sure the players on the bench are paying attention.